Africa Independent Television (AIT) has now joined the list of channels available on Startimes digital television in Nigeria. It seemed at first, AIT which is a part of the DAAR Communications Plc. group of companies was not eager to join the Startimes platform in Nigeria which is a joint venture between the Nigerian Television Authority (NTA) and Startimes of China because it had its own Satellite TV offering called DAARSAT. DAARSAT failed woefully at initial attempt in the Nigerian market and is now being relaunched. 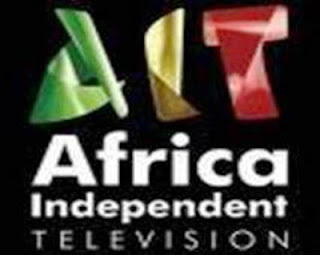 The decision of AIT to join Startimes bouquet can be seen as a victory of sorts for the company as it looks towards challenging Multichoice which leads the Nigerian market for satellite and digital television with its DSTV/GOTV offerings. Time will tell which company will emerge as the winner of Nigeria's digital TV wars but for now Startimes subscribers can watch AIT on Channel 128 on their decoders.